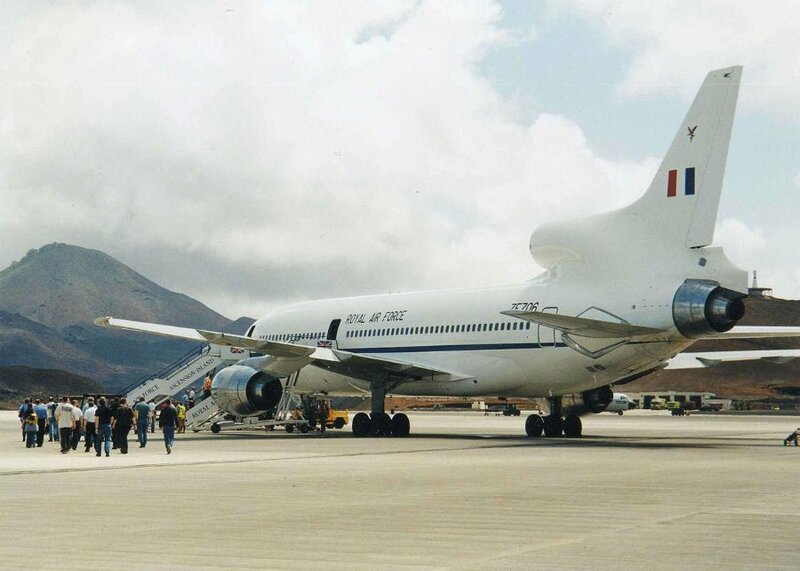 RAF Ascension Island – January 2002 – licensed under the Creative Commons Attribution 2.0 Generic license. “There it is again. Let me put it on speaker, Richard.” Thirty-eight-year-old Kristen Hines was on assignment for the NSA at the RAF Ascension Space Communications facility on the mid-Atlantic island. Richard Porter was the fifty-five-year-old civilian division chief. As the static switched from Kristen’s headset to the speakers in the secure communications room crewed by a dozen specialists, the regular pinging became a fragmented voice. I wrote this for the What Pegman Saw writing challenge. The idea is to take a Google Maps image/location and use it as a prompt to craft a piece of flash fiction no more than 150 words long. My word count is 150. Today, the Pegman takes us to St. Helena, Ascension and Tristan da Cunha in the middle of the South Atlantic. When I was looking up signals intelligence, I found an online copy of the last German message intercepted by the British during the war signaling Germany’s unconditional surrender. Putting that all together, I wondered if there were any “conspiracy theories” based on a Nazi Manned Space Program, and lo and behold, I found the answer at Astronotes which used information about Nazi Germany’s Aggregat Rocket Program. It was a lot of fun to write, but 150 words doesn’t do it justice. To read other stories based on the prompt, visit InLinkz.com (link fixed). Your discovery about St. Helena inspired a great concept. I want to know what’s next! I didn’t think much past the 150 words, Karen. That said, after launch, the Nazi spacecraft must have encountered an alien vessel in Earth orbit, and then fun things began to happen. Cool stuff. I didn’t know that about the island. Neither did I until a few hours ago. Thanks, Josh. Thanks. It wasn’t easy with a 150 word count hard limit. But,people like you proved anything will be perfect in your hands. Kudos. Thanks. I appreciate the complement, but the story would have been better if I could have had another 100 words to play with. Good portrayal of a tense moment. Very believable with all the military-speak names and titles. Now Im expecting tales of time travel, with the Nazis coming back the same age more or less, as when they left. Something to do with relativity? Hope your President is a match for Hitler’s minions! Its amazing what will pass for truth in those that believe conspiracy theories. I was thinking of traveling at relativistic speeds, so time passed slower aboard the spacecraft. Actually, none of the stuff about a Nazi space program would have been possible using 1930s-1940s technology. About the only way to write a story and change history that way would be to have a time traveler from the future or an alien working with the Nazis and starting earlier on their space and advanced weapons programs, but I’d also have to get rid of Hitler, since he chose his pet projects on an emotional basis rather than listening to his technical advisers. It’s one of the reasons the Nazi nuclear program would never have produced the bomb. True, but the replacement would have been just as bad and a lot more organized. Thanks for showing your “homework”, James. That one word — “aliens” — in the message changes the whole tone, doesn’t it? Makes me think of all kinds of possibilities for what they’ll find if they can recover the returning spaceship. Interesting idea! Excellent piece. Loved the follow up on the research you did too.. Cool stuff! !